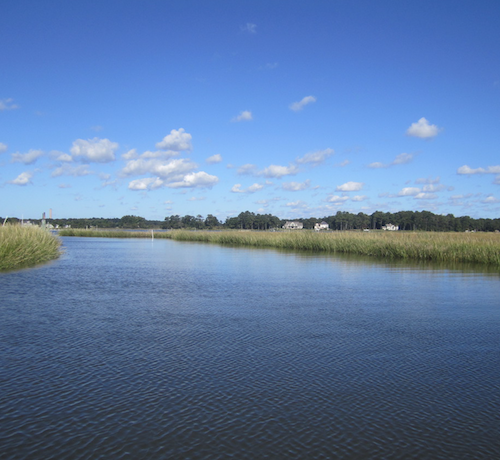 Indian River Inlet – The Delaware Center for the Inland Bays is seeking volunteers and participants with boats for the 12th Annual Inland Bays Clean-Up. This event will be held from 9 a.m. to 1 p.m. on Saturday, June 10th and will focus on the shores along Rehoboth and Indian River Bays. Advance volunteer sign-up is requested, as lunch and a reusable water bottle will be provided to participants. Sign-in and location assignments for the clean-up will take place on the day of the event at the launch point: Massey’s Landing Public Boat Ramp at the end of Long Neck Road. Volunteers should be prepared for the weather (including cooler, breezy conditions on the water) and should dress for dirty and wet conditions. Work gloves are recommended and closed-toe shoes are required. Those who have access to lifejackets should bring one, as they are required onboard any boat used during the cleanup. Otherwise, lifejackets will be provided. Last year’s event drew 75 volunteers who filled a 30-yard dumpster with debris, including soda bottles and cans, tires, derelict crab pots and lumber. This year’s event will focus on recycling.